This one applied like a dream, no patchiness or coverage issues at all! What you see is two coats without top coat and just like most Zoya creme's you can see you're left with a gorgeous shine when it's dry. Check out the other fills for today below, and let me know what you think! :) Thanks for visiting! That's a very nice vampy red shade for the theme and fall. Ohhh adding this to my zoya wishlist! Yay for trying untrieds :D! It's a gorgeous shade of red, I really like it on you. I need this polish in my collection! I haven't seen this shade in forever! Uhhh such a perfect Fall shade indeed! What a perfect fall color!! Beautiful!! Gorgeous vampy shade, looks amazing on you! Oh, that is really nice! It looks terrific on you! I love this red! Gorgeous photos! What a gorgeous shade! I cannot believe I don't own this Zoya shade. This is such a lovely vamp! Perfect for fall! 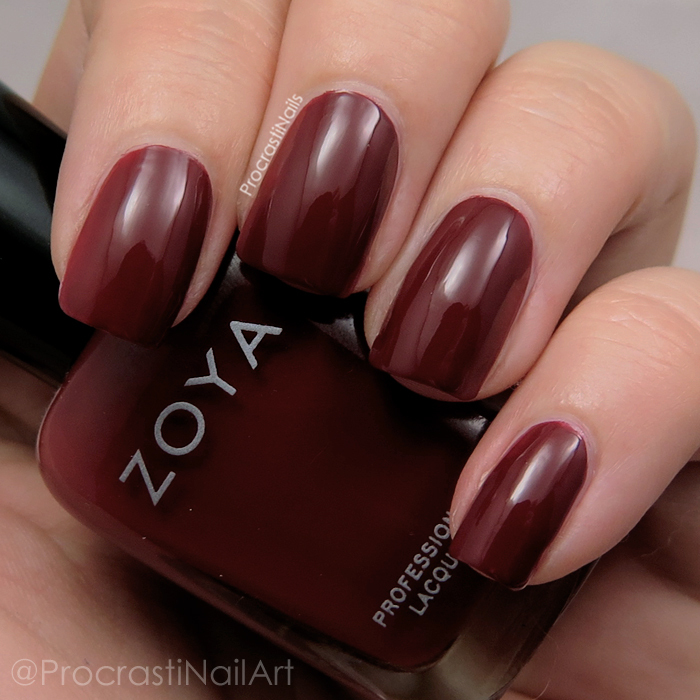 Pepper is such a nice, classic Zoya! This is a really great fall red.